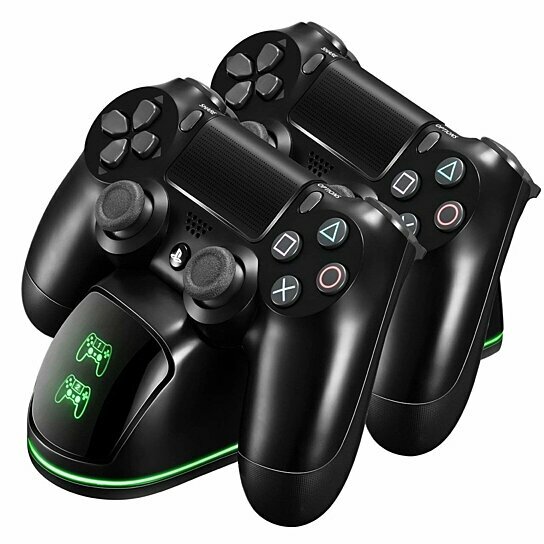 [LED Charging Indicator] This PS4 controller charging station is equipped with Front display to shows the status of charging simply and clearly.Red light means in charging and green light means full charged. [Storage Function & Anti-Slip Pads] The PS4 controller charger is more than a simple charger, but also a helpful storage holder. Ideal for saving your space to store your controllers when you're not playing.